Glimmer Body Art Tattoos. The perfect addition to any sized event, big or small!! 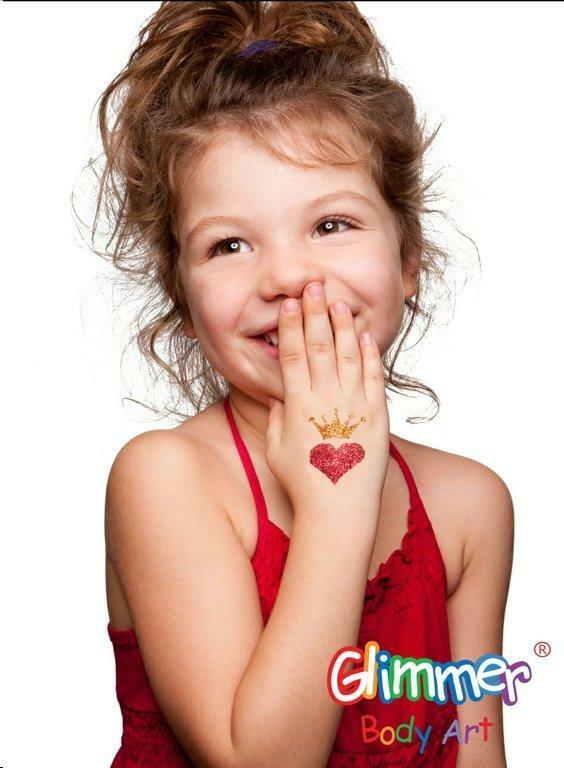 Glitter tattoos will not only keep the kids entertained, but adults as well. Something they will definitely remember your event by. Our staff will show up at your location complete with Glimmer tattoo stand, hundreds of stencils, and seats to keep your friends comfotable while getting their tattoos. 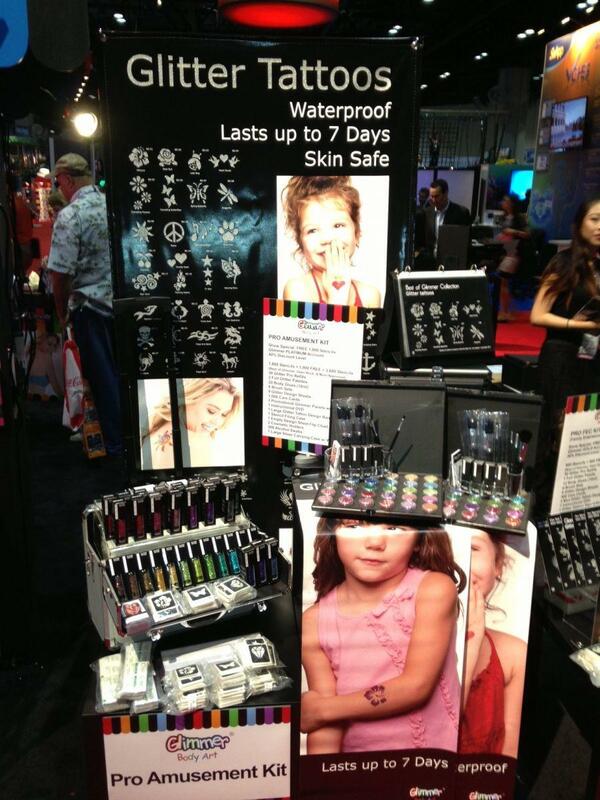 Glimmer tattoos can last upwards of 7 days, and are waterproof when dry!! pricing for this event is for 1.5 hours - additional time can be added in 30 minute increments at $40 per. Big school event? Charity event? Special occasion? 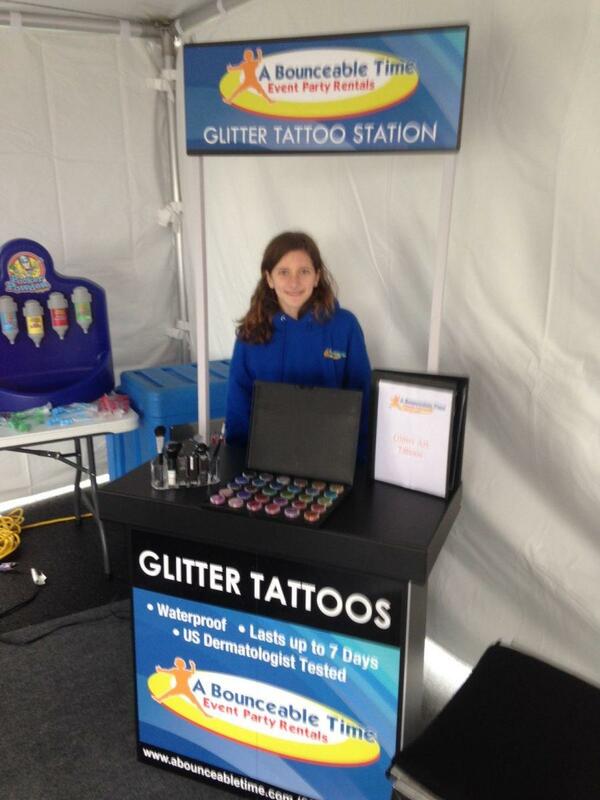 we can have your logo/branding made into a glimmer tattoo stencil - ask us how!